It's pretty clear that Ike is a deprived dog. So deprived that he just now, at almost 7 years of age, got a dog bed. I've been spending a lot of time in my craft room lately. Ike follows me wherever I go. (Bathroom and shower included.) Ike likes to be comfortable. 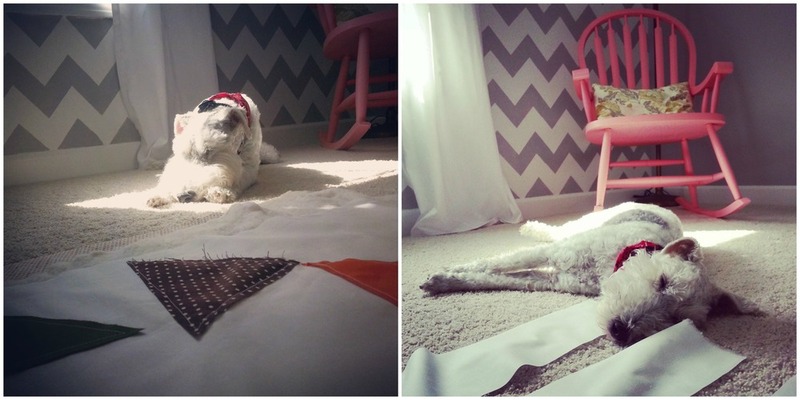 The only spot for the dog to lay in the craft room is on the floor. This puts him out. He does this thing where he sighs when he doesn't get what he wants. There was lots of sighing in the craft room. It's funny and pathetic all at the same time. I told Nate that we needed to get him a dog bed. We decided that a suitcase one would be the most appropriate for a hipster dog like Ike. We began our suitcase hunt. 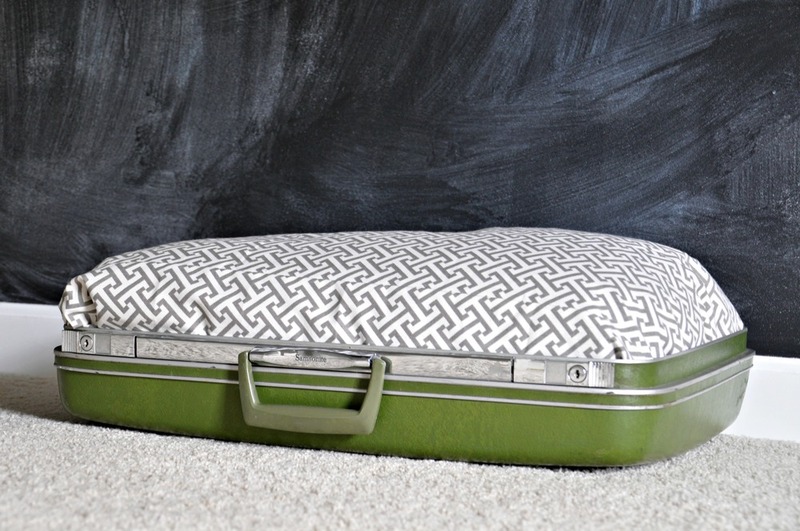 Vintage suitcases are kind of expensive. We found this one for ~$15.00. Ike approved. Nate unscrewed the top. I shoved a pillow and some of Nate's old t-shirts into the bottom. I then covered it with some material from my stash. 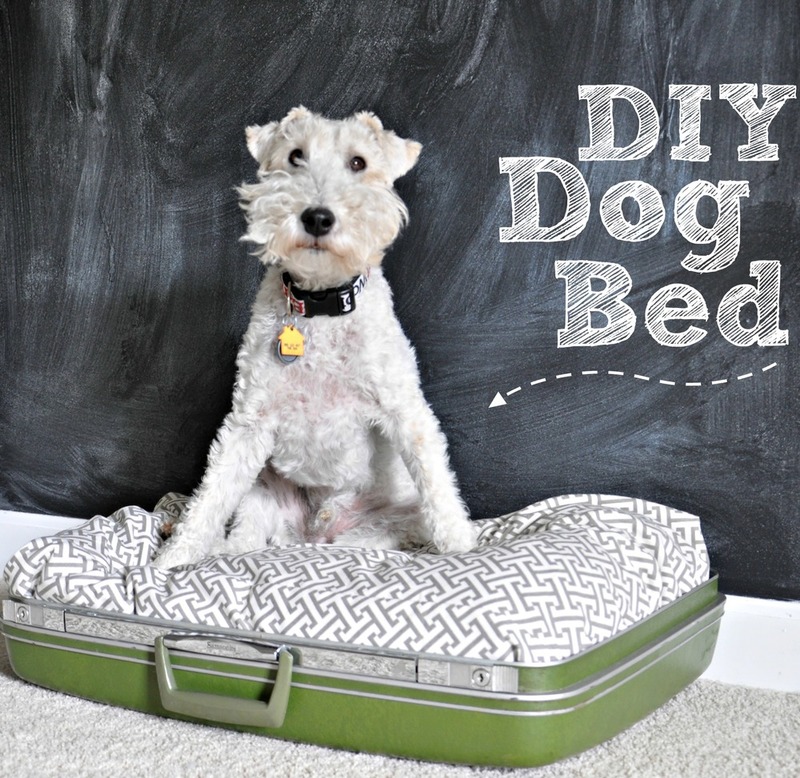 Hipster dog bed complete. Nate and I both assumed that we'd make this for him and then he wouldn't use it. That would totally be an Ike thing to do. But he loves it. He crawls right on in. There is still some sighing over constantly wanting bones and not being able to go on walks 24/7. At least we have the craft room covered.